Dr. Lilia Shevtsova is a prominent Russian political scientist currently based at Chatham House in London as an associate fellow. Over the course of her distinguished career, which has included stints at the Brookings Institution, Carnegie Moscow Center, Georgetown University, Sciences Po, University of California–Berkeley, Harvard University, St. Gallen, and Cornell University, she has conducted extensive research and writing on issues relating to postcommunist transformation, democratic transitions, and relations between Russia, the West, and Eastern Europe. 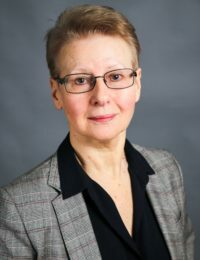 Dr. Shevtsova’s work has been featured in numerous publications, including Foreign Policy, the Financial Times, the Washington Post, Le Monde, and the Journal of Democracy. In 2008, the Prospect and Foreign Policy featured her on their list of 100 Leading Global Intellectuals. She is a member of the editorial boards of the American Interest and the Journal of Democracy. During her fellowship, Dr. Shevtsova studied the role of foreign policy in preserving Russia’s system of personalized power.